It doesnt matter anymore. I guess things happen for a reason. Tears eventually fade and one day everything will be exactly how its supposed to be. Moving on is a process and you have to promise yourself that youre really ready to let go. 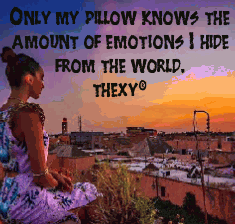 Only my pillow knows the amount of emotions I hide from the world. There's no happiness in a situation where there's disparity. Everybody counts. 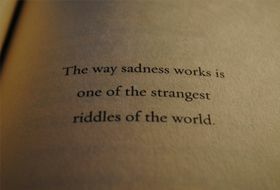 The Happy ones Count their Blessings and the sad ones Count their Troubles. When I miss you, only tears are able to talk. You can never be happy if you don't let go of the things that makes you sad. When life is tough, remember everything is just temporary. You can't be sad forever or be happy all the time. So just enjoy the season of life and never resist the gravity of the universe.